All work and no play makes Jack a dull boy – a proverb that best describes the corporate workplace these days. Pain, eye strain, back or neck and shoulder tension, frustration, pressure, workload, inefficiency, and desperation are all culminating in the workplace. For many individuals this situation is a regular occurrence in their day-to-day life. Failure to address the situation can have disastrous consequences for both employees and employers. There is an urgent presentation due tomorrow and the delivery of an urgent order is scheduled for the next day. So, buckle up the seat belt and get ready to work overtime. Be ready to handle back-to-back deliveries all while staying tuned in to the office – stressful huh? Employees working in a corporate world are more stressed with tighter deadlines, and there is also another evil beast lurking – the arrival of back-to-back demanding and continuous projects. Open communication is important in any workplace so having open communication around workload is important. For employers it is key to encourage this open communication. People also need to make time for themselves by doing things they enjoy, getting proper sleep, and doing exercise outside of the workspace. Making time and planning ahead by creating checklists for work projects and your personal life can help, and this can be done with employers and employees working in tandem. The Digital World has left the present generation staring at their computer screens eight hours a day. Mobile phones, tablets and digital watches for day-to-day needs don’t help either. Eye fatigue, discomforts, and headaches may result. 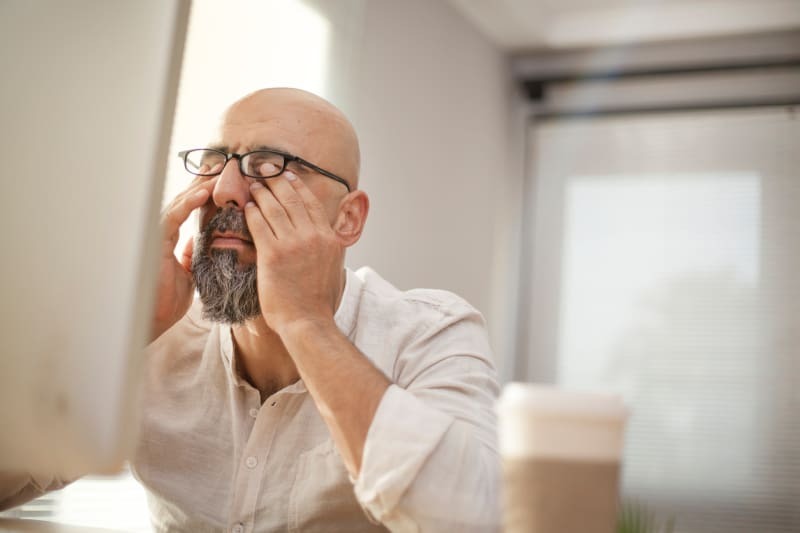 Regular, intermittent eye relaxation exercises may help prevent eye dryness and irritation caused by working in front of the computer. People need to be sure to take regular breaks to relax their eyes and get outside for some fresh air. Also some eye drops may help too! Every workplace involves all kinds of different work. In many cases this often involves sitting for long periods of time. This may cause alterations in a person’s posture such as the head pulling forward and shoulders rounding. 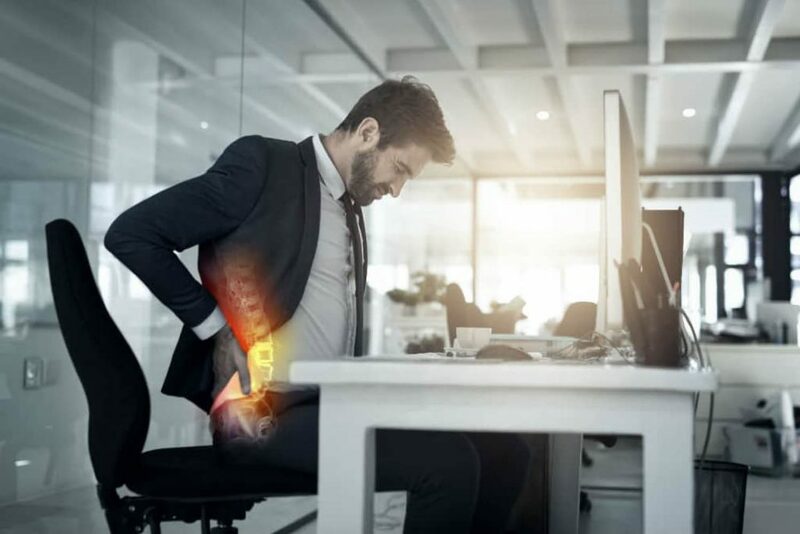 Sitting for prolonged periods may also affect the way a person’s spine and shoulders function leading to painful syndromes. Regular breaks and a proper workplace assessment to minimise the stress on parts of the body is essential. Individuals suffering from tension or pain should seek advice from an appropriate healthcare professional, such as a chiropractor, who are primary healthcare professionals focused on spinal health and wellbeing. Such professionals are able to do the appropriate assessments to help address and prevent the underlying issues involved. Continuous, repetitive, overuse activities may be seen in writing or the monotonous use of computers (which involves continuous strokes on keyboard and the holding of a mouse to perform various actions). These repetitive motions may lead to elbow or wrist problems. They can even cause carpal tunnel syndrome, where the median nerve in your wrist is affected causing pain, tingling, numbness, and problems in the hand. Taking regular breaks and performing hand flexibility and strengthening exercises is important. Seeking advice from an appropriate healthcare professional like a physiotherapist who may help with exercises is also a good idea. Receiving regular remedial massages can also help. The importance of addressing the ergonomic needs of employees is essential and will only benefit both individual and business alike. The results lead to happier, more effective and efficient staff, improved customer engagement, decreases in sick days or workers’ compensation claims and increased profits. We must remember that people are not machines and looking after workers is a huge step in looking after the backbone of the company.